Welcome to the Georgia Conservancy's legislative recap of the 2019 Legislative Session. The Georgia Conservancy's Advocacy team, led by Advocacy Director Leah Dixon, was under the Gold Dome every day of the Legislative Session advocating for the protection of Georgia's land and water. Whether working for or against legislation, we strive to find common ground solutions that will forward a Georgia where people and the environment thrive. Tuesday, April 2nd, was Sine Die - the final day of the 2019 Legislative Session. Before the 2019 Session began, we identified a number of important measures that had the potential to be introduced, including the clarification of the jurisdictional line found in the Shore Protection Act, resolutions to oppose offshore oil and gas exploration, and legislation to create an oyster and clam mariculture industry. Such bills and resolutions passed the General Assembly before the end of the session. A number of other bills were introduced during the 2019 Legislative Session that will move forward into the 2020 Legislative Session for consideration. Please click here to sign up for our weekly legislative updates, emailed every week of the session. The following measures were of importance to the Georgia Conservancy during the 2019 Legislative Session. House Bill 445, introduced by Rep. Don Hogan (R-179), amends the Shore Protection Act. The Shore Protection Act (SPA) became law in 1979 to ensure that the sand sharing system was protected from adverse impacts from human activity. The sand sharing system is the network of dunes, beaches, shoals and sandbars. This network is what protects the barrier islands from storms, erosion and corresponding property loss or damage. We believe that rigorous application and coordination of the Shoreline Protection Act is critical to preserving the coast’s ecological integrity as human activity, including tourism and recreation, expands. Late in the session, an important amendment was made to HB 445 that removed an exemption that was of great concern to the Georgia Conservancy, as it appeared to not only exempt a current construction project, but would set a dangerous precedent which may be used by other landowners to exempt their projects up and down the coast. Since its inception, the Shore Protection Act has been relatively free of such preferential treatment that would have been provided in this exemption. Thank you to legislators for addressing the our concerns regarding this exemption. 1) A line 25 feet landward on private and public land from the landward most toe of the most landward sand dunes. This method would be used when there is an existing dune field at the upland/sand sharing system interface. 2) A line 25 feet landward on private and 100 feet on state land (Jekyll Island) from the crest of a visible and functional shoreline or stabilization structure. This method would be used when there is a rock revetment, bulkhead or seawall at the upland, sand sharing system interface. 3) A line 25 feet landward of the ordinary high water mark on private land and 100 feet landward of the ordinary high water mark on state-owned land. This method would be used when there is an eroding shoreline and no dune field present at the upland sand sharing interface. The Georgia Conservancy has worked closely and effectively with legislators and the State Department of Natural Resources during the last couple of years to address the Shore Protection Act to ensure efficient and clear management of the jurisdictional line, and moving forward during the interim, we will monitor the delineation procedures as the jurisdictional lines are enacted. House Bill 445 passed the House and the Senate and will now move to the Governor's desk. The Georgia Conservancy supported legislation clarifying and redefining the jurisdictional boundary of the SPA. While we support the 25-foot jurisdictional line for revetments, we would prefer to see the landward extension of the line to 50 feet, on non-state-owned land, from the toe of active dunes, or a receding shoreline. During the 2018 Legislative Session, through the advocacy efforts of the Georgia Conservancy and our Georgia Outdoor Stewardship Coalition partners, the Georgia General Assembly overwhelmingly passed the Georgia Outdoor Stewardship Act (HB 332 & HR 238). With Governor Nathan Deal’s signature and a November 2018 ballot initiative that received 83% support from Georgia voters, the state's first dedicated trust fund for conservation was established. House Bill 382, introduced by House Majority Leader Jon Burns (R-159), serves as housekeeping legislation so as to allow grant and loan application submission dates to comply with existing state laws, to incorporate consistent definitions of eligible recipients, and to allow for the fund to appropriate up to 5% of the total dollars collected in the Georgia Outdoor Stewardship Trust Fund to the state Department of Natural Resources (DNR) for fund administration. These proposed changes simply allow DNR to better implement and administer the Georgia Outdoor Stewardship Trust Fund. House Bill 382 passed the House and the Senate and will now move to the Governor's desk. House Bill 501, introduced by Rep. Jesse Petrea (R-166), allows for the development of shellfish (oyster and clam) mariculture on the Georgia coast. Georgia's delicious oysters and clams have been enjoyed by coastal residents for generations, but bringing them to a larger market through an established oyster mariculture industry has been difficult due to the sensitive balance of environmental conditions, health concerns and restrictive state regulations. Georgia's powerful tidal swings do not allow for industry-preferred single oysters to naturally settle and mature, but instead creates an environment where oysters have to clump together for support. This clumping creates inconsistency in oyster size and shell structure - a barrier to providing consistent and affordable single oysters to restaurants and retailers. Several of our adjacent states southeastern states have thriving shellfish industries. Current Georgia law does not permit the farming of individual oysters through oyster cages. It is important for Georgia to develop a similar resource that highlights our local seafood, while not detrimentally impacting our coastal environment. The goals of this mariculture legislation are to provide a regulatory framework which protect consumer health, state siting guidance for aqua culture installations and protect the marsh, including the important role shellfish play in our estuarine ecology. House Bill 501 passed the House and Senate and will now move to the Governor's desk. The Georgia Conservancy supports the development of an oyster mariculture industry, and we will work with the Coastal Resources Division of DNR, those in the oyster industry, as well as with our partners during the interim in an effort to evaluate the health, environmental, safety and operational concerns with the creation of a mariculture industry in Georgia. House Resolution 48, which passed the Georgia House on the final day of the session by a vote of 164-32, establishes Georgia’s official opposition to offshore oil and gas exploration. With this resolution, the General Assembly expresses their support for Georgia's fishing and coastal tourism industries, extensive salt marsh and marine mammals through their opposition to offshore seismic testing and oil and gas exploration. A late attempt to radically amend the measure and create a pro-drilling resolution was defeated in the House, and the original anti-drilling legislation ultimately passed the chamber with bi-partisan support. Thank you to Representatives Carl Gilliard, Don Hogan, Bill Hitchens, Ron Stephens, Jesse Petrea and Sam Park for leading this effort under the Gold Dome. The adoption of House Resolution 48 was a top priority of the Georgia Conservancy and a number of other conservation organizations during the both the session. HR 48 has passed the Georgia House. Georgia's current Right to Farm Act protects existing agricultural operations from a variety of nuisance lawsuits. All 50 states have some form of Right to Farm laws, which prevent a number of unreasonable lawsuits from being filed against existing farming operations. A proposed change to the Right to Farm Act that did not pass the Senate on the final day of the session, House Bill 545, sponsored by Chairman Tom McCall (R-33), sought to limit the rights of people who reside near new agricultural operations. As an amendment to the Right to Farm Act, this piece of legislation, if passed, would have forbid nuisance lawsuits to be brought forth against newly established farms or agricultural operations 1 year after such enterprise was established. The Georgia Conservancy had concerns with these changes due to the limited time frame a property owner would be able to bring action against incoming agricultural operations. Adoption of such legislation would not change the fact that if an agricultural operation is negligent or acting illegally, they would not qualify for protection under the Right to Farm Act. Though House Bill 545 was not brought up for a vote by the Senate, it will be eligible for consideration during the 2020 Legislative Session. The Georgia Conservancy will continue to monitor this issue and communicate with partners and stakeholders during the interim. HB 545 did not pass the Senate before the end of the Legislative Session. The Georgia Conservancy opposed this legislation. House Bill 592, introduced by Rep. Steven Meeks (R-178), would provide that short-term mineral surface mining shall not be a breach of covenant on properties that are under the Forest Land Protection Act (FLPA) covenant, provided that the property is returned to its pre-mining condition within three years. Under a FLPA covenant, the landowner is provided an ad valorem tax exemption for property primarily used for the good faith subsistence or commercial production of trees, timber, or other wood and wood fiber products for a minimum 10 year period. The Georgia Conservancy believes that land receiving preferential tax treatment for the conservation use of the property, should not be allowed to engage in activities such as surface mining without breach of covenant. This bill was introduced after Crossover Day and, therefore, did not pass during the 2019 Legislative Session. We look forward to productive conversations with the bill sponsor and its proponents over the interim. The Georgia Conservancy is opposed to HB 592 in its current form. Senate Bill 2, introduced by Sen. Steve Gooch (R-51) facilitates the expansion of broadband services to rural communities across Georgia, places which have, historically, had difficulties establishing reliable services. The Georgia Conservancy is supportive of measures that will allow for our small and rural communities to remain or become economically resilient. Just like urban areas, the vitality and resilience of our small and rural Georgia areas rely on continued investment of people, infrastructure, education, healthcare, and economic opportunity. We are monitoring the following legislation because we believe reliable, affordable internet access will advance education, economic innovation, equity and access to healthcare. Learn more about our work to advance the resilience of small and rural communities. Senate Bill 2 passed the Senate and the House and will now move to the Governor's desk. The Georgia Conservancy is continuing to evaluate and monitor House Bill 23 and Senate Bill 2. Sponsored by Rep. Dan Hogan (R-179), HB 201 authorizes the Board of Natural Resources to promulgate rules and regulations regarding anchoring certain vessels within estuarine areas of the state and to authorize the Department of Natural Resources to establish anchorage areas. The Georgia Conservancy supports measures that seek to provide closer scrutiny of sewage discharge by live-aboard vessels and closer oversight by DNR of estaurine anchoring. House Bill 201 passed the House and Senate and will now move to the Governor's desk. The Georgia Conservancy supported passage of House Bill 201 and will be monitoring the rule making process during the interim. HR 164, sponsored by Rep. Jay Powell (R-171) originally proposed an amendment to the state constitution that would require the state to "dedicate", or spend fees on the specific purposes for which the fees were collected. For example, the tire fee on new tire purchases that is supposed to fund the clean-up of dangerous tire dumps through the Solid Waste Trust Fund has been diverted to other state activities and programs. The diversion of fee income has left the state with inadequate funds to properly clean-up these tire dumps that pose a threat to the public safety, health and the environment. HR 164 would prohibit this practice. (See additional legislation regarding the Solid Waste Trust Fund) below. The Senate Appropriations Committee passed an amended version of HR 164 that only included the option to constitutionally dedicate fees from the existing Solid and Hazardous Waste Trust Funds. This amended version passed the Senate, but was not agreed to by the House before the end of the session. House Resolution 164 did not pass before Sine Die, but will be eligible for consideration during the 2020 Legislative Session. The Georgia Conservancy supports the full dedication of dollars collected by the hazardous waste and solid waste trust funds to used towards their intended purpose. HB 220, sponsored by Rep. Terry Rogers (R-10), extends the expiration or "sunset" date for both the Hazardous Waste Trust Fund and the Solid Waste Trust Fund from June 30, 2019, to the same date in 2022. However, the bill also seeks to decrease the amount that each fund collects, beginning on July 1, 2020. The Hazardous Waste Trust Fund is supported by monies collected from hazardous waste generators, solid waste tipping fees ($0.75 per ton of solid waste disposed) and various fines for violations. The Fund, which is administered by the Georgia Environmental Protection Division, is used to remediate contaminated sites throughout the state. If the collection of fees were to sunset, the ability of local governments to fund the clean up of leaking landfills, as well as abandoned and contaminated properties, would be seriously hindered. Though extends the expiration date of the fund, it also decreases the amount collected from $0.75 per ton of inert waste to $0.51, beginning July 1, 2020 until a sunset date of June 30, 2022. The Solid Waste Trust Fund, through $1 tire fee on purchase of new tires in Georgia, is intended to fund the clean-up of dangerous tire dumps. Though extends the expiration date of the fund, it also decreases the amount collected from $1 per tire to $0.37, beginning July 1, 2020 until a sunset date of June 30, 2022. The collected fees for both funds have been diverted to other state programs and activities for the past five years. The diversion of fee income has left the state with inadequate funds to properly clean-up these tire dumps that pose a threat to public health, safety and the environment. HB 220 has passed the House and the Senate and will now move to the Governor's desk. The Georgia Conservancy supports the extension of both trusts, but has concerns regarding the decrease in fees. Additionally, the Georgia Conservancy supported further legislation (see above HR 164) that will make sure that dedicated fees actually fund their intended purpose, as well as advocates for the state budget to increase its allocation of funds towards the Solid Waste and Hazardous Waste Trust Funds. House Resolution 591, introduced by Rep. Vance Smith (R-133), creates a committee to study building design standards under the premise that local communities should not have a say in such standards. This resolution is in response to House Bill 302 (see below) which failed to pass out of the House before Crossover Day. House Bill 302 sought to prohibit local governments from adopting or enforcing ordinances or regulations relating to or regulating building design elements as applied to one or two-family dwellings. HB 302 had the potential to hinder, if not completely remove, innovation at the local level to address needs or leverage assets related to natural resources, housing, revitalization, or other land use conditions. HR 591 has passed the full House. The Georgia Conservancy is opposed to the intent of HR 591 and will closely monitor the work of the House Study Committee during the interim. The 2018 Georgia General Assembly demonstrated again why the investment in an effective and engaged Advocacy Program at the Georgia Conservancy is so important – it’s necessary! Georgia Conservancy Advocacy Director Leah Dixon and our team reported on more than two dozen pieces of legislation last year, in addition to the Governor’s budget. Our work at the Capitol, along with our partners in the Georgia Outdoor Stewardship Coalition, was critical in the establishment of the Georgia Outdoor Stewardship Trust Fund. Click here to learn more about our advocacy efforts during last year's session. 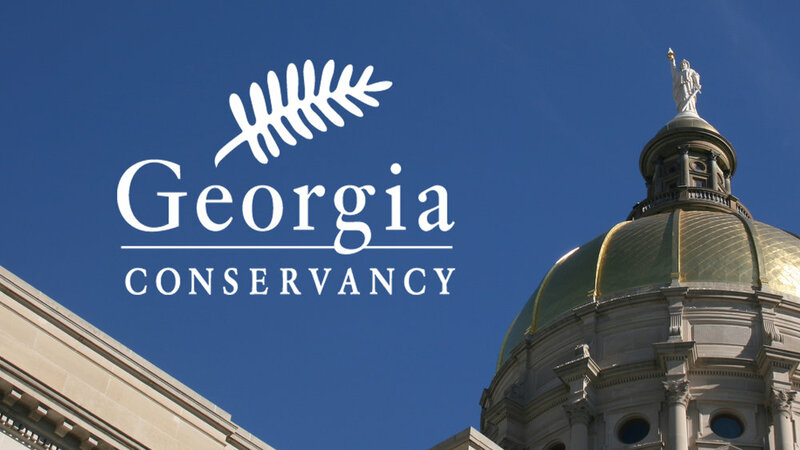 Please contact Georgia Conservancy Advocacy Director Leah Dixon at ldixon@gaconservancy.org with any questions regarding the 2019 Legislative Session.